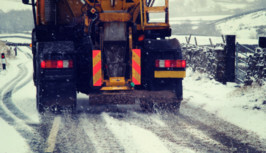 Online Rock Salt responds to a recent article by Helen Carter in The Guardian, claiming that gritting lorries do not spread salt. An article has appeared in The Guardian’s online edition (“How well can Britain cope with winter weather?” Friday 09/12/11), discussing Britain’s readiness for the upcoming cold season in light of hurricane-strength winds in Scotland. The article is, for the most part, informative, with figures on the winter readiness of local councils and a description of the new fleet of gritting vehicles that are on the roads this year. However, Ian Mercer of Online Rock Salt feels that he must point out some inconsistencies within the article that undermine not only the efforts made by local councils but also the efforts of the company and of Winsford mine. In places, the author dangerously misleads the general public into believing that buying a product with a lower salt content will be just as effective for de-icing their local area. With increasing hospital admissions for falls in snow and ice in the winter, this is at best irresponsible. As a country, Britain has been curiously complacent about extreme weather conditions for the last thirty years. With mild winters (and generally mild summers) the majority of Britain simply doesn’t expect to have to cope with the kind of weather that troubles mainland Europe, or America. The danger of this approach has been starkly highlighted in the last two years, with some councils relying too heavily on previous year’s forecasts in terms of salt stocks, leading to chaos when prolonged and unprecedented cold weather set in. See how Inverness can manage in snowy conditions year in, year out, whereas London can grind to a halt under a significantly lower snowfall. Rock salt and gritters, for many councils, were the only things required to get through morning ground frosts and light snowfalls. In places, the author dangerously misleads the general public into believing that buying a product with a lower salt content will be just as effective for de-icing their local area. With increasing hospital admissions for falls in snow and ice in the winter, this is at best irresponsible. However, the chaos of the last two years led to many companies selling adulterated product to both councils and the general market. Only this summer a company was fined for selling a product falsely described as rock salt. The trading standards service found that the company was deliberately profiteering and taking advantage of the cold snap with false product. The development of councils such as East Cheshire using a new mixture of salt is an interesting one and may lead to innovations in the market, but traditional gritting lorries currently still use rock salt, or halite as it is chemically known. The phrase “Calling it salt is a little misleading - the stuff they spread on roads is more like grit,” is completely wrong, both in terms of semantics and chemistry! De-icing rock salt contains approximately 90% sodium chloride, i.e. salt. The reason it has the brown appearance is because it is a quarried material, with natural clay in it. The brown appearance should not be created by the addition of other materials. Winsford mine, which Ms Carter has visited, is one of the main production sites of rock salt in the country. For many years it provided all of the rock salt needed by local councils to keep traffic moving in difficult and icy conditions. Winsford mine has risen to the challenges of the last few winters magnificently, coping with the highest demand in decades and extremely difficult conditions for its staff. The mine began quarrying salt in the 1840s, and shut briefly before reopening in 1928. A truly British industry, the mine employs around 180 people around the UK and still provides the bedrock of winter safety in the UK. Salt is only importing to the UK in times of dire winter need. 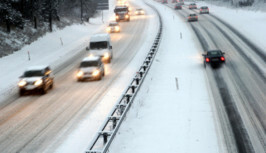 All salt is effective at de-icing snow and ice, but the Highways Agency will only use rock salt, proving that it remains a trusted de-icing product for some of the most important transport links in the country. Being ready for winter is no longer the responsibility of just the council and the Highways Agency. With increasingly wild weather on the horizon, it is the responsibility of everyone - including the media! 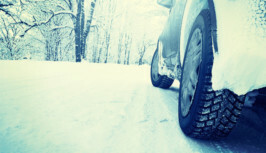 - to make sure that their cars, homes and families are ready for a prolonged cold snap. The general public, when buying de-icing salt for their own properties, should remember the importance of buying genuine rock salt, and not be dissuaded by anyone claiming that the adulterated products of last year are just as effective. Together, Britain can work towards a safer winter.